Greetings from Huong, Ella, and Kaylee from The 88 Project! We are bringing you news, analysis, and actions regarding human rights and civil society in Vietnam during the week of October 16-22. Female activist Tran Thi Xuan was arrested on October 17 under Article 79. The local community has rallied around her. Environmental activists in Dong Tam are worried after the government went back on its promise not to bring charges upon those involved in the April 2016 land standoff. Former prisoner of conscience Nguyen Xuan Nghia has been questioned in relation to the Brotherhood for Democracy, and Brotherhood member Nguyen Bac Truyen is still being detained in an unknown location following his July 30 arrest; please take action for him, below. Nguyen Van Tuc, also arrested for alleged ties to the group, has been denied a lawyer almost two months into his detention. Former prisoner of conscience Pham Thanh Nghien has released a bilingual memoir detailing her time behind bars. And ten civil society organizations have launched a new campaign, #StopTheCrackdownVN, aimed at increasing visibility for activists arrested in 2017. Take action by using the #StopTheCrackdownVN hashtag on your social media channels. Tran Thi Xuan, 41, was arrested under Article 79 (“attempt to overthrow the people’s government”) in Ha Tinh province, north central Vietnam, on October 17. The authorities have not been clear about the details of the charges against her. Hundreds, and perhaps a few thousand, people protested Xuan’s arrest in a mass public display of support in Ha Tinh. Supporters also held a prayer vigil in her honor. Following the April 2016 environmental disaster, the government has targeted many activists and journalists involved in direct protests and indirect social media commentary, including Nguyen Van Hoaand Nguyen Ngoc Nhu Quynh, a.k.a Me Nam. Many other activists assumed by police to be connected to the Brotherhood for Democracy have been singled out in recent weeks. Writer and former political prisoner Nguyen Xuan Nghia, 66, was recently interrogated by police for his alleged connections with the group. He had served six years in prison, from 2008-2013, under Article 88. He was a co-founder of 8406 Bloc, another pro-democracy group in Vietnam. Brotherhood member Nguyen Bac Truyen, kidnapped and arrested on July 30, still remains in detention in an unknown location. His wife attempts to visit him, but his location has not been confirmed. Nguyen Van Tuc, also arrested for alleged ties to the group, has been denied a lawyer in detention. He was arrested on September 1 under Article 79. Former prisoner of conscience Pham Thanh Nghien has released an autobiography entitled “Slices of Life Behind Bars.” The bilingual autobiography is available on Amazon. Check out our interview series with her, where she discusses her arrest, detention, and the specific struggles that female prisoners face. Police have called on residents involved in the Dong Tam land conflict in April 2017 to turn themselves in, even though the villagers had originally been promised they would not be prosecuted. They were alerted to the authorities’ change in position via a letter, and later, publically broadcasted notifications. The clash, which sparked from the arrest of locals protesting land rights, and led to villagers and police detaining each other at various points, only ended after the mayor of Hanoi vowed that locals would not be prosecuted. Some say that the government purposely misled them into believing they would be safe from legal charges in order to calm the conflict. Now, locals are angry, and for some, their desire to protest has only grown. Several international and Vietnamese rights groups have demanded Vietnam to release its prisoners of conscience and stop their persecution under provisions of Vietnamese criminal law, including Articles 79 and 88. They cite 25 human rights defenders arrested or exiled in 2017 alone. Blogger Phan Kim Khanh, 24, faces trial on October 25. He was arrested on March 21 under Article 88 for running Facebook, YouTube, and blog sites with anti-corruption and pro-democracy content. He faces up to 12 years in prison. Before his arrest, he was in his last year of university. His lawyer, Ha Huy Son, reports that Khanh is in good spirits but his health is failing. Learn more about his background and current status, here. His family continues to need support in order to send him supplies in prison. Please contact us if you can assist. Use the hashtag #StopTheCrackdownVN to share information on your social media pages about the ongoing crackdown and the imprisoned activists. 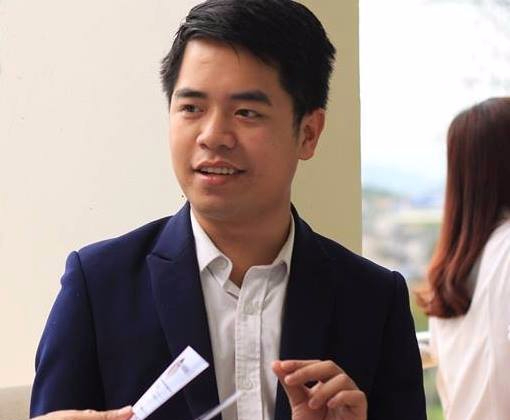 Please take Amnesty International’s Urgent Action for Nguyen Bac Truyen, whose location is still unknown almost three months after his arrest.